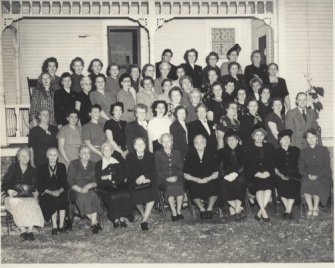 Notes: On December 1, 1852, the Norwegian Lutherans in the Springdale and Blue Mounds area gathered in a log school house to organize an official congregation. They elected trustees and signed a document proclaiming them a subdivision of the Norwegian Lutheran congregation of Dane and Jefferson Counties. They dedicated a cemetery in 1850 now known as the First Norwegian Lutheran Cemetery. In 1861 the members decided to build a church. 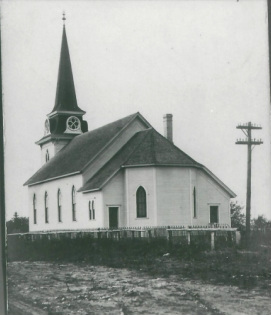 A spire and bell were added in 1877, which still remain, however, the present church was built in 1895. For more than 100 years they were a sister church with East Blue Mounds. The altar of this church is attributed to the craftsmanship of Aslak O. Lie a well known local cabinet maker.